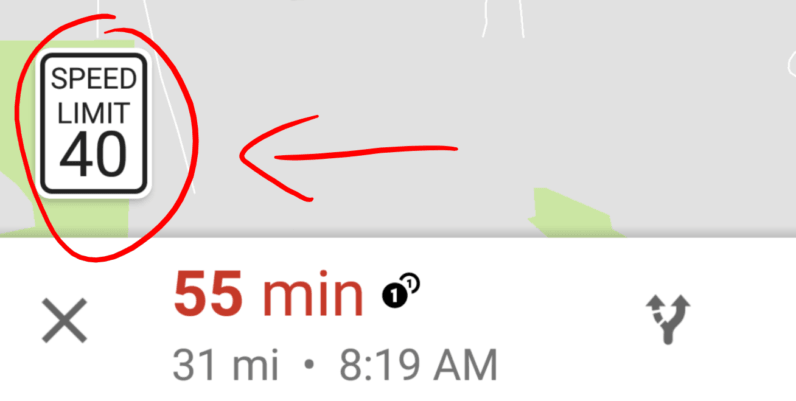 Here’s a useful little feature that might be coming to Google Maps: speed limits. It’s long been one of Maps’ most requested features. Redditor emannikcufecin spotted the change on an Android device. It appears the app still doesn’t track how fast your vehicle is moving or alert your when you go over the speed limit, the way many other GPS apps do (including the Google-owned Waze). Instead it simply shows a little graphic along your route displaying the local speed limit so you can be aware – useful if you’re going on a long road trip and aren’t always paying attention to the signs (although, you know, you should). We asked Google about the feature and were given the standard response: the company is always experimenting with new features, and might roll it out broadly depending on user feedback. In other words, you might not see speed limits coming to a phone near you just yet, but we wouldn’t be surprised to see this hit devices a few months from now.